NGO News blog, NewsLine: Dr.K.Senthilraj I A S, the Project Director of TANSACS harassed a woman activist in Chennai. The Government and Human right commissions both in centre and State should enquire and take appropriate against Dr.K.Sentil Raj I.A.S, presently working as Project Director, TANSACS for the offences of violation of human rights, outraging the modesty of women and for his verbal and emotional abuses and harassment against woman personally committed in an official meeting. At the outset, it is stated that the behavior of the Dr.K.Sentil Raj I. A. S, Project Director, TANSACS is an unbecoming of a government servant both in moral and in legal aspects. First of all being a government servant he must possess the quality of neutrality among all the officials, sub ordinates and co coordinating agencies.SEVAI is a voluntary Organization for development needy population in the areas of AIDS Prevention, comprehensive Health, Education, cost effective housing, Women Self help groups, and Watershed management etc. for the past 42 years. SEVAI is works in the areas of AIDS Prevention and control in association with TANSACS for around 13 years. Link Workers Scheme and Target intervention Projects are being implemented by SEVAI with the support of NACO through TANSACS.Several evaluations are being conducted and were also conducted currently and also during past years. We also worked with several Project Directors of TANSACS and we had smooth running of projects. 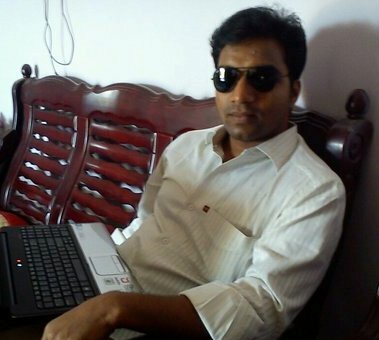 The current Project Director of TANSACS Dr.K.Sentil Raj I. A. S performs very strangely and insults the NGO heads/CBO Leaders and project implementing functionaries. The Project Director of TANSACS Dr.K.Sentil Raj I. A. S said that he was going to conduct two days training on 3 and 4th August 2017 for NGO Directors and project functionaries regarding Link Workers Scheme. All the NGO Directors from various districts were in Chennai for two days 3rd and 4th August. Project Director of TANSACS Dr.K.Sentil Raj I. A. S came to project review on the second day at 6.10 PM.Project Director of TANSACS has all the rights to review the program, but we would like to submit that PD TANSACS had personally attributed hostility on SEVAI Founder/Director and SEVAI Staff members for the reasons best known to him. He also treated other NGO leaders very badly in front of their project functionaries. During the project review meeting, although we did well in implementing Link Workers Scheme in Trichirapalli District, Project Director of TANSACS started wounding SEVAI team with no reference to documents, especially Evaluation report shared with us on 3rd August 2017. Just in three minutes after the start of review meeting on 4th August 2017, Dr.K.Senthil Raj I. A. S, Project Director of TANSACS had furiously raised his voice on SEVAI team why did not attend his review meeting conducted on 1st August 2017 at Trichy. He responded that TANSACS District unit (DAPCU) asked only Target Intervention- Project Manager and District Resource Persons of Link Workers Scheme of NGOs, such as SEVAI are to attend review meeting at Trichy collector's office conducted by the Director and rest of the SEVAI team as supported by TANSACS are to remain in their respective offices. That is the reason why, Our SEVAI Director submitted respectfully that he could not attend review meeting conducted in Trichy. It is the case for all the NGO Directors of LWS,TI projects of TANSACS of Trichy, Pudukottai, Thanjavur, Perambalur and Ariyalur and that is the reason why none of the NGO Directors attended the review meeting they have no other reason to avoid the review meeting. The TANSACS Team also confirmed that NGO Project Directors were not invited for the review meeting.When Our Director brought out this fact to Dr.K.Senthil Raj I. A. S, Project Director of TANSACS kind consideration, he expressed his dismay on our TANSACS Director’s and he expressed his awkwardness that our Director was arguing with him and he asked him to apologize for response in front of ail NGOs, staff members of NGOs and TANSAC’s officers. Our Director was shocked about his shout and he did not know what for he has to make an apology for none of his fault. We respect IAS officers and we had also attended several review meetings and none of them treated us inhumanly as he did it in the review meeting over the years. Neither our organization SEVAI nor our Director receive any financial support from TANSACS. The funds sent by TANSAC’s were distributed as the project staff salary as per NACO Guidelines as expected by TANSACS on e-transfer basis. More over we receive the grant after a gap of 3- 4 months and SEVAI provides advances to run TANSACS Projects and TANSACS funds are transferred on reimbursement basis only, we need to keep readily around Rs. 12,000,00 to run these projects and never stopped the project staff salary and project activities for want of Transfer of funds from TANSACS”. Mrs.Suda added “I have a long standing in NGO field submitted humbly my views of the reality for SEVAI Head was not invited me, the Project Director had also intimidated me and abused me with unparliamentarily words” and “awkwardly dealt with me with woman harassment terminology- "Are you not ashamed-Vekam Kettaval "and I started howling with ignominy and humiliation. The Project Director, TANSACS is neither my superior nor his offices pays any payment for my work. Dr.K.Senthil Raj I. A. S, Project Director of TANSACS clearly overstepped his line of control by violating human rights and involved in verbal harassment of woman”.